Origin and Habitat: Garden origin (Nursery produced cultivar). The original natural habitat of this species is Eastern Asia, the Pacific islands and Australia. Hoya carnosa cv. Krimson Princess: (a.k.a. 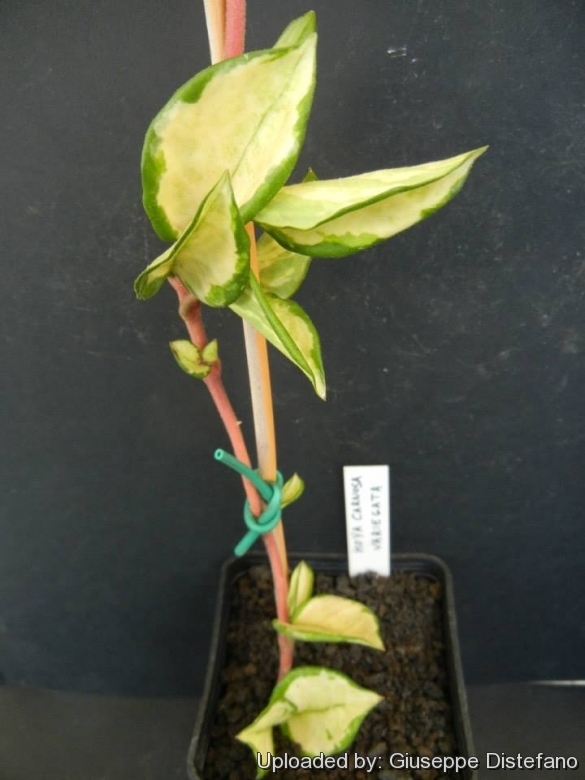 'Medio-picta aurea', 'Picta', 'Rubra', 'Rubra Krimson Princess' or 'Variegata') This form with heavily variegated leaves is very attractive and highly prized. It can be distinguished by the green leaf borders and variegation in the centre. 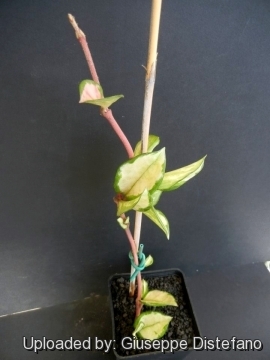 The variegation can be from white/cream/pink/yellowish/dark pink depending upon the growing conditions. Other names are "trade names". Often there are sports or mutations or seedlings.